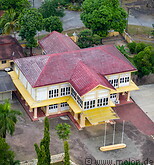 Alor Star (also known as Alor Setar) is the capital of the Malaysian state of Kedah. 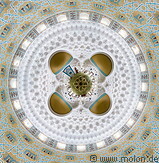 It is located in the plains, nor far from the sea. The centre of ALor Star is quite pleasant and has a number of architectural highlights, such as for instance the Zahir state mosque, Kedah state art gallery, Balai Nobat, the Al-Bukhary mosque, the palace of the Sultan of Kedah and several colonial era buildings. The Alor Star tower has a height of 165m and offers good views of the city. Alor Star is a relatively new city, having been founded in 1735 by Sultan Muhammad Jiwa Zainal Adilin II. 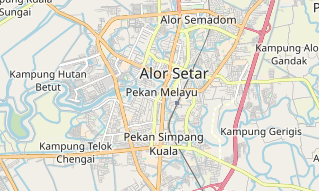 Alor Star has an own airport and can also be reached by train, bus or car, for instance by using the north-south motorway. Accommodation options include hotels and pensions, bookable via the international booking portals. Prices are moderate.